Welcome to this edition of OWW Radio. This is the official radio program of Online World of Wrestling.com. Each episode OWW Radio brings perspective to the WWE, TNA, and everything else making news in the world of professional wrestling. Today David (@dlb19338) welcomes author Dan Murphy (Facebook/Dan Muphy) who has been a writer for Pro Wrestling Illustrated since 1997 and oversees PWI’s annual female 50 rankings. 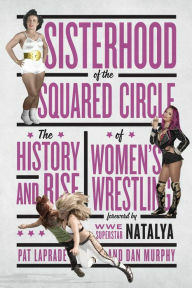 Dan joins the show to discuss his new recent publication “Sisterhood of the Squared Circle: The History and Rise of Women’s Wrestling”, which he coauthored with Pat LaPrade. It is an interesting look inside the world of female professional wrestling from one of the experts. Go to www.ECWPress.com to purchase the book this coming spring!